Hurricane Sandy was last week’s news. This week it will be all about the presidential election. Oh sure, some stories will trickle out about the ongoing relief efforts, but most of the country will be focused on what happens on November 6th. 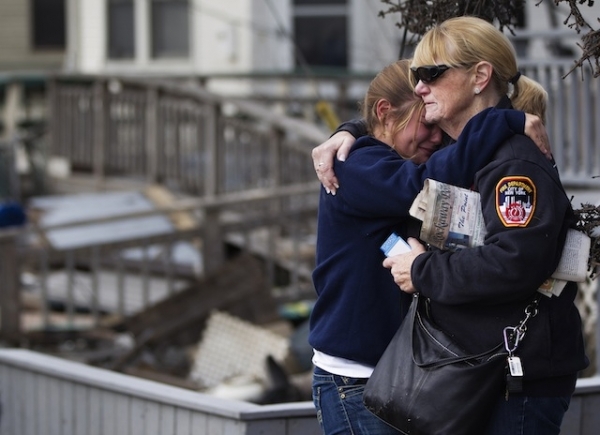 By and large, Sandy – and those suffering from it – will become a distant memory for most of the country. It’s easier to forget as time passes. These people have expectations they will receive the assistance they need. They need help. And that’s what Americans do in a time of crisis better than any other country in the history of the world. More importantly, that’s what followers of Jesus Christ should be doing. Didn’t Jesus say something like [paraphrase] “Others will know you are my disciples if you love (take care of) one another”? You may have someone around you today who is hurting and in need. Think about how you may be able to help them. If you can’t help tangibly, then make a simple phone call or send an email to say “I’m thinking about you.” Those words placed in the heart of the hurting soul will be a great encouragement. How are you encouraging others today?